Don’t reinvent the wheel, just fix the flat. Here is the most simple way to describe what I hope to do: To provide easy-to-use, good tasting and healthful recipes that will help you cook gluten-free/allergen free. To give you recipes and tools to make what works for YOU. A big change like the one you are experiencing, or helping someone you love go through can seem overwhelming. The basis of all of my recipes will be to offer you several variations on that dish, if possible, so that you can alter a recipe to your particular needs. Every recipe will be gluten-free. If I make pancakes and you are also egg free? Dairy free? Grain-free? I’ll try to cover that as much as each recipe allows. Why can’t you just go out and buy a gluten-free cookbook and be done with it all? A few words about cookbooks…….I love them. I collect them. I could never cook all of the recipes that are in these books. I also have the binders full of beautiful magazine cut-outs. You know, magazines? Pre-internet? Never mind. What do most of these recipes have in common with each other? Simplicity. Oh sure, I have a few cookbooks full of ridiculously difficult, um, challenging undertakings. But for the most part, the recipes are composed of simple ingredients that make real food. Tasty, real food. Vintage food. I may have just coined a phrase…….But when I needed to learn to cook gluten-free and went to look for new cookbooks? Everyone had figured out a new way to reinvent the gluten-free wheel. And it was not necessary. Most conventional cookbooks start out with a brief explanation of what tools/gadgets/supplies you may need to make the recipes in their book. Some have measurement guides in the front, as well as a small substitution list. But gluten-free cookbooks? It’s like they are written in a different language. By aliens. From the future. Doctor Who-type stuff. Pages of technical explanations of each ingredient needed greet you as you open the book. Guar gum? Xanthan Gum? Sweet rice flour? Potato starch vs. potato flour? It is scary. It’s like driving in England for the first time. Everything is on the other side of the road. You just wanted to get to the actual recipes and make a shopping list. And then it happens. You see the dreaded proportions/ratios that people put in and highlight as mandatory reading or you won’t be able to understand the philosophy/science/theory behind gluten-free cooking. Nothing puts people off trying to cook gluten-free than a bunch of math. It’s at this point that you put the book back, go to the grocery store and buy up anything and everything that is marked gluten-free. Healthy or not, you buy it. What do you really want at this point? Pancakes. You want pancakes. Just a simple recipe for pancakes. No trigonometry-needed recipes. You want to cook. Food, is necessary. When you have been told that you must take certain foods out of your/your child’s diet immediately, it can get scary and hectic. You can do this, trust me. Here are some simple things to remember about cooking for yourself or anyone who needs to eat another way….. Stick to the basics, and start simple. Crackers, cookies, and pancakes are all great foods to start with. You can buy the pasta, meat, fruits, and vegetables that you need to round out a few weeks of solidly healthful meals while adjusting to this new way of eating. Don’t be afraid to taste your recipe after it is finished, even if it’s not made for you! It may not taste like “regular” food, but I promise you won’t die from tasting it either. Never taste a gluten-free recipe raw though – it may equal an upset tummy! Use the web and Pinterest to help you get through the recipe. Chances are, someone out “there” has made it before. Ready to jump into your first gluten-free/allergen-free recipe? I know I am! Up first, crackers. Simple, necessary and they can stand up to a strong dip. Don’t worry, we’ll get to those pancakes very soon. I know you all can go to the store and pick up a box of gluten-free crackers. But have you tried one? I’ve tried about 10 different types and they all taste the same. Chalky, grainy, and fake. I’m not going to name brands-o here, but they must think-o we lost our sense of taste with our loss of ability to eat gluten-o. You all know who I’m talking about. And all of the extra ingredients in those crackers! All the unnecessary additives and unhealthy things in there are enough to give anyone a stomach ache – and you just stopped having stomach aches after you gave up gluten. You don’t need that. You need simple. You need a cracker. My friends, just for you, I present the simple and understated, yet invaluable, gluten-free saltine-esque cracker. This is a cracker my family has missed since we first went gluten-free. The quintessential American cracker. This cracker passed the chief taste-testers tastebud test. My husband is now 100% gluten-free. He is, um, particular about taste, texture and palatability. You can trust him. It’s a good, solid, white cracker. It also stood up to sitting in a shot glass of salsa for 15 minutes while I snapped picture after picture and didn’t get soggy or dissolve, but didn’t break any of my teeth either, so it’s a winner! 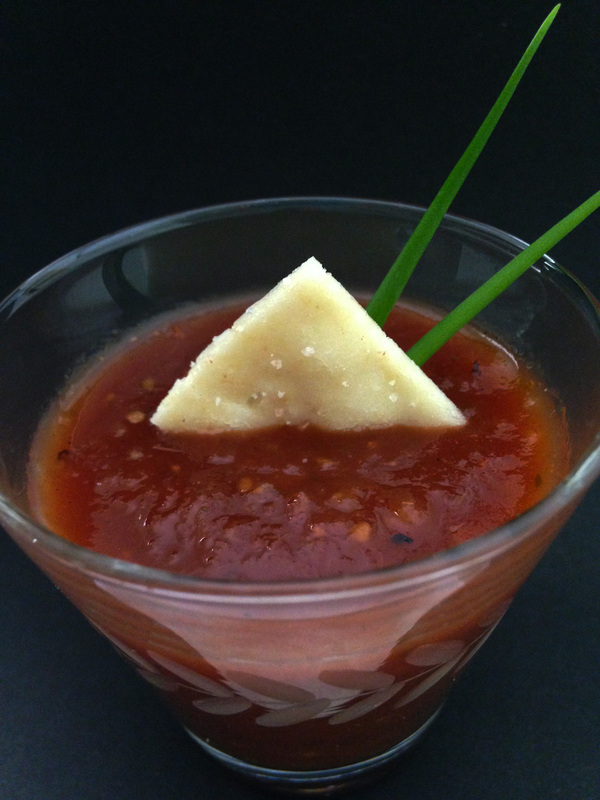 Give yourself 6 ingredients and 20 minutes and you will have yourself a cracker. Quantity: it all depends on how small or large you make your crackers. 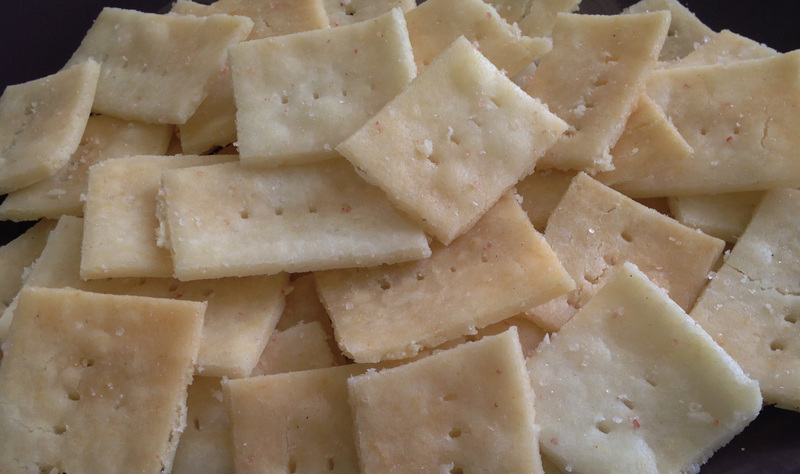 My recipe yielded about 20 1″ inch square crackers. I have doubled this recipe also, it works just as well. 1/2-1 Tsp. Sea Salt, or regular table salt for topping the cracker. The amount depends on how salty you like your crackers. Preheat oven to 350°. Lightly grease your baking sheet. Lay out a 15″ long piece of plastic wrap on a counter, you will need this when rolling out your dough. Set out your rolling pin. Using a stand mixer with a paddle attachment, or, a bowl and a spoon (my preferred process) mix all of the dry ingredients together. Add shortening/oil and using a fork or pastry cutter, mix well until the mixture looks like large crumbs. If you have made a pie crust, this will be a familiar process to you. Then, one tablespoon at a time, add the water and stir/knead with your hands until the mix holds well when formed into a ball. This might take some arm power. Don’t worry, it will come together into a smooth mixture. Flatten the ball on the plastic wrap and top with another sheet of plastic wrap. Roll out your dough, being mindful to roll both towards and away from you as well as left and right. Roll to your desired thickness. The thicker the cracker, the longer it will take to bake. Remove the top sheet of plastic wrap. Pick up the dough and plastic wrap all at once, and turn it over quickly onto your greased baking sheet. The plastic wrap should now be on the top. Peel the plastic wrap off. Pat down any air bubbles that may have formed when you transferred the dough. Using a pizza cutter or sharp knife, size and shape your crackers. Running your pizza cutter top to bottom and then left to right produces squares, Top to bottom and the diagonally produces a diamond shape. You can make them as big or as little as you like! Top the dough with the 1/2-1 tsp. of sea salt, sprinkled evenly all over. Gently pat the salt onto the cracker slightly to insure it remains there after it is baked. Bake for 15-20 minutes, depending on your oven. When a cracker that is in the middle of the pan is pressed on, it should not feel “doughy” at all – there should not be any “give” to it. The crackers will all shrink just a bit and separate from each other, this is natural. When done, take crackers out of the oven and let them cool. When cool enough to handle, break them apart and enjoy with some dairy-free White Bean Pesto Dip! Don’t have that? 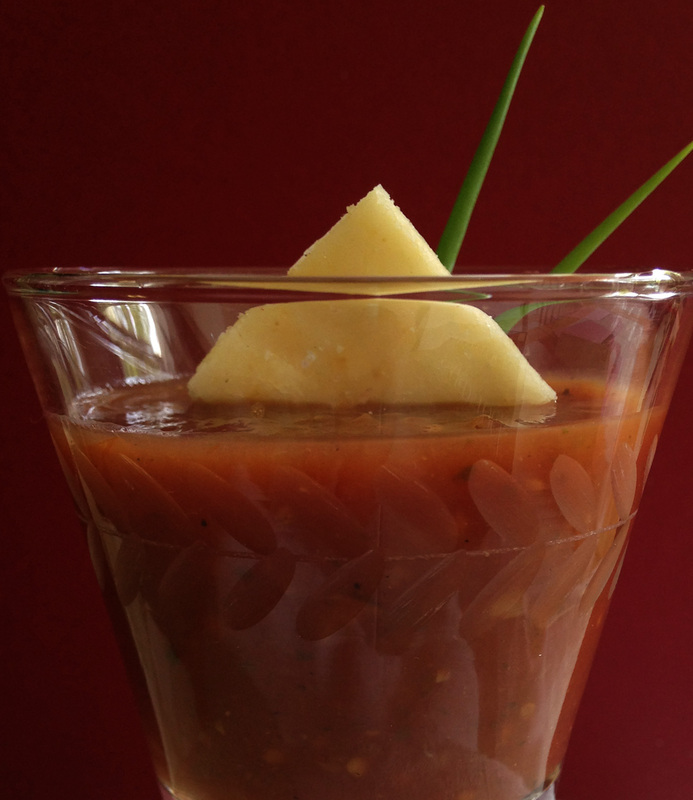 Recipe coming soon…..
Now pat yourself on the back – you did it! Coming up after this brief commercial break – Pancakes. And dairy-free White Bean Pesto Dip. Not together, don’t worry.